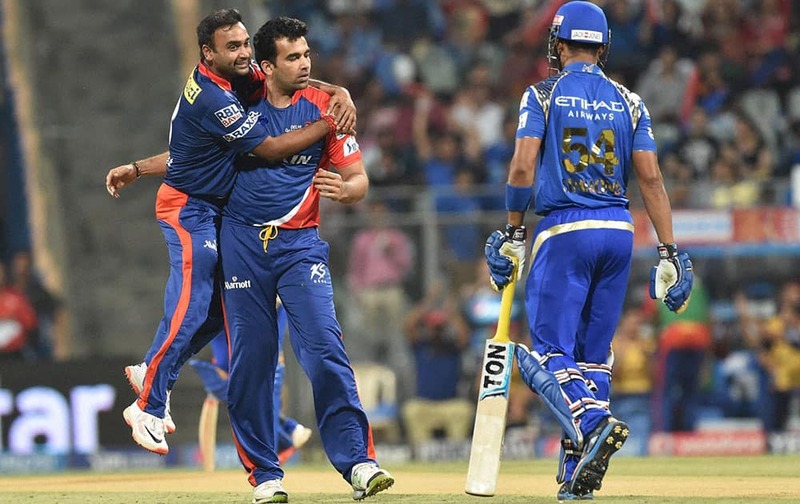 Delhi Daredevils bowler Zahir Khan celebrates the wicket of Mumbai Indians batsman L Simmons during a IPL T20 match played in Mumbai. 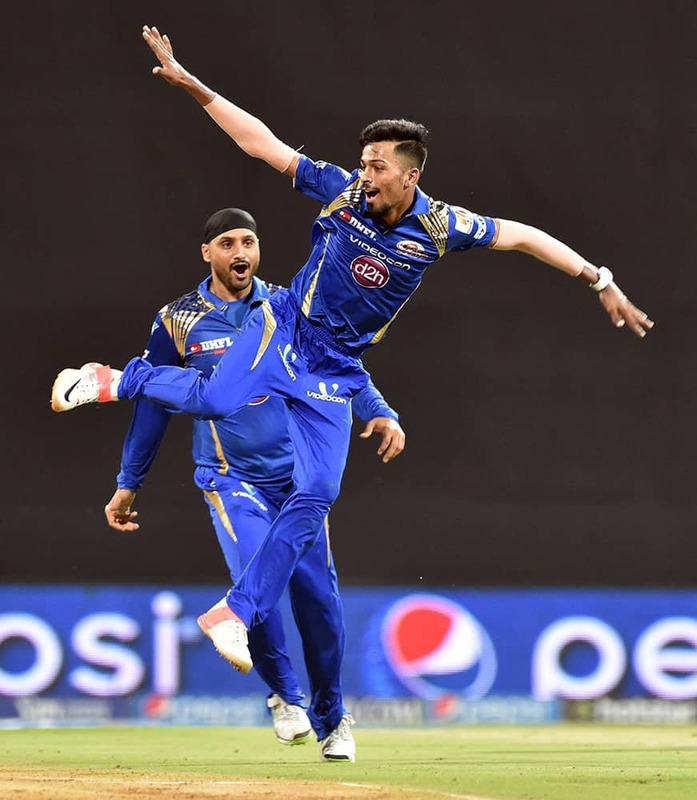 Mumbai Indians bowler Hardik Pandya celebrates the wicket of Delhi Daredevils batsman Mathews during a IPL T20 match played in Mumbai. 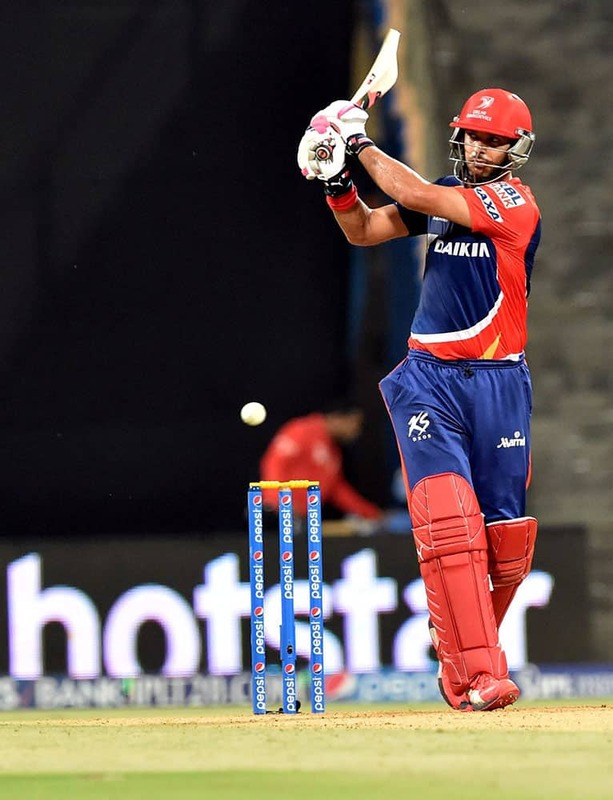 Delhi Daredevils batsman Yuvraj Singh plays a shot against Mumbai Indians during the IPL T20 match in Mumbai. 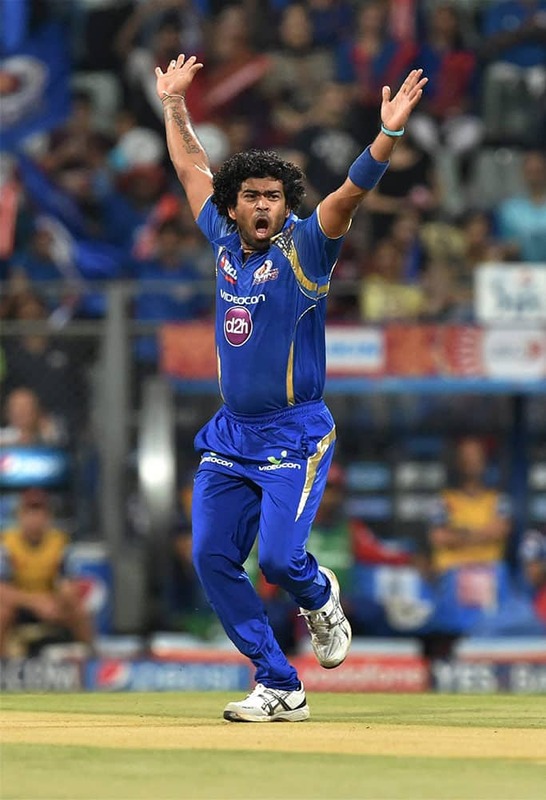 Mumbai Indians Lasith Malinga celebrates the wicket of Delhi Daredevils batsman Mayank Agarwal during their IPL T20 match in Mumbai.